But I still have the idea that I can do something with them too. At two or three inches, I think they are the ideal size for Christmas tree ornaments. I was thinking after I dry them to open them up, I could decorate them with color and glitter, then dip them in a clear coat like a lacquer or oil. That should protect them long term. One problem though is how to attach the hook loop... Obviously in order to hang them they need a hook loop, but they're sorta delicate... Still thinking about it. I had another idea. I like to home brew. I make some ciders and wines... usually apple. Wines are aged in wooden barrels, but I'm usually impatient. I just drink it from the kettle when it's done brewing LOL Anyway, I was thinking, why don't I throw a couple pinecones in one of my brew batches for flavor...? Hey, it's wood, right? Hahaha... I don't know if that's a good idea or not, but sometimes I forget I'm getting old and I feel momentarily adventurous. 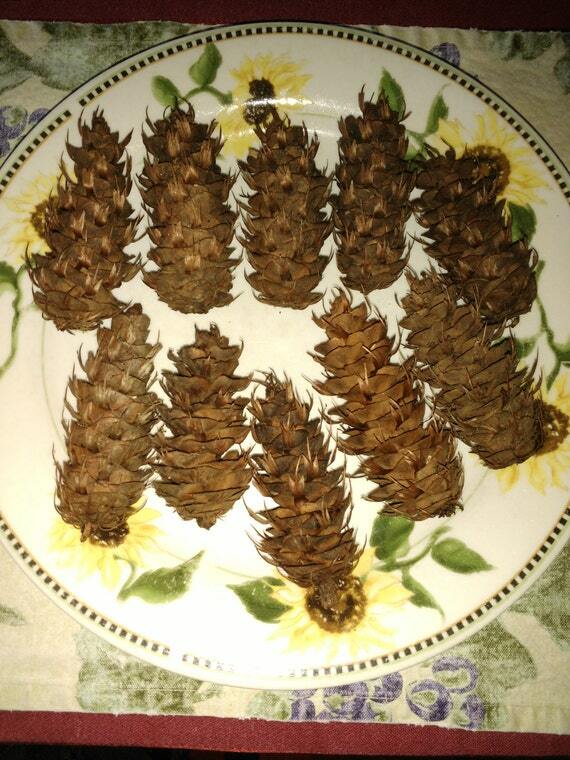 Okay, has anyone out there ever done a craft with a pinecone? What did you do with it? How did it turn out?